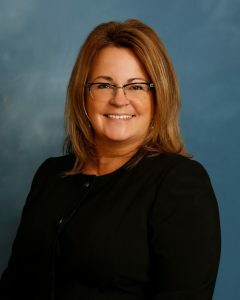 MERRILLVILLE – Janice Ortbring has been named vice president and director of marketing at Centier Bank. Ortbring bring more than 25 years of experience in developing marketing and advertising campaigns. Ortbring is a graduate of the College for Creative Studies in Detroit and was named one of Business Weekly’s 30 Most Influential Women. Ortbring served on the Chelsea, Mich. Village Council for two terms and was elected for one term as a charter commissioner to work with eight other commissioners to write the new city charter for Chelsea, Mich.
Merrillville-based Centier Bank, which has $3.8 billion in assets, operates 59 locations mostly in Northwest Indiana and employs 800 people.